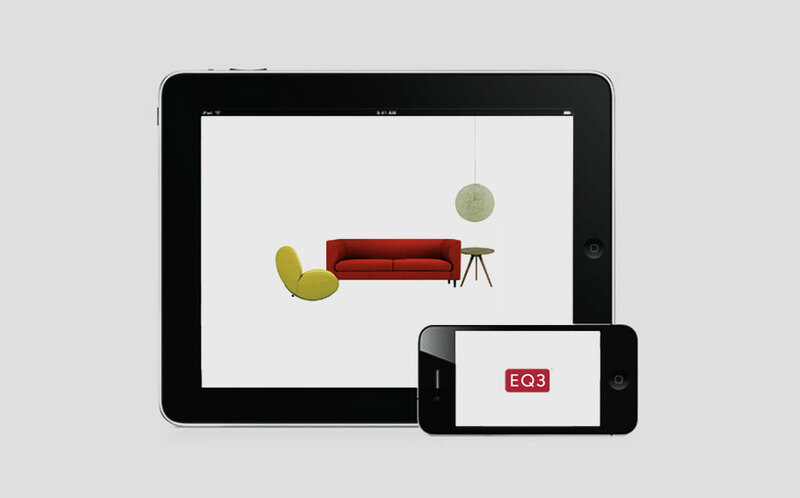 The EQ3 Room Builder tablet app is a tool that can be used by customers, store consultants, and design professionals in the floor planning of interior spaces. A version of this product was launched online and in store as a design kiosk. This iteration adds another level of customization by incorporating a furniture configurator for products that come in multiple finishes and/or with variant components. This is an important aspect to highlight as EQ3’s 100+ styles of customization is one of their most significant market differentiators, and yet is challenging to sufficiently communicate in static marketing assets. While the Room Builder app would only be suitable as a tablet app, the product configurator component could be isolated and repackaged as a standalone mobile app that would help customers preview their customized upholstery products before making their personalized purchase order.